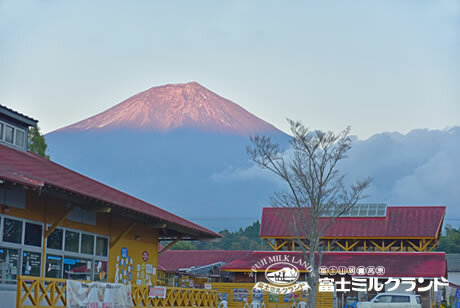 Company | Visit Fuji Milkland at the foot of Mount Fuji in Asagiri Kogen highland. 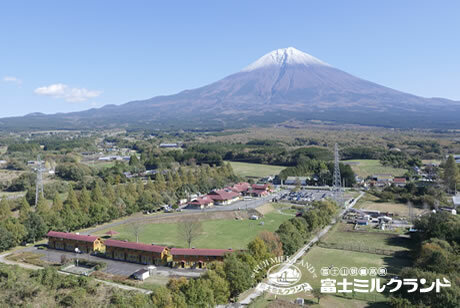 Manufacturing and sales of dairy products (cheese, yogurt, jellified milk, etc); manufacturing and sales of ice creams, gelatos and whippy ice creams; retailing of souvenirs and agricultural produce; operation of restaurants/lodging facilities and small zoos; operation of experience/educational/training activities; management of Fuji Asagiri Farm Experience Association office. Production of Stripe Cheese began. Cheese Factory erected. Full-scale production of dairy products began. Sales of grass-fed cow milk started. Gelato Shop and Farm Products Store opened. BBQ Garden and Dog Run opened. First Whippy Ice Cream Store franchize openend in the Ogasa Parking Area of Tomei Highway (Westward). 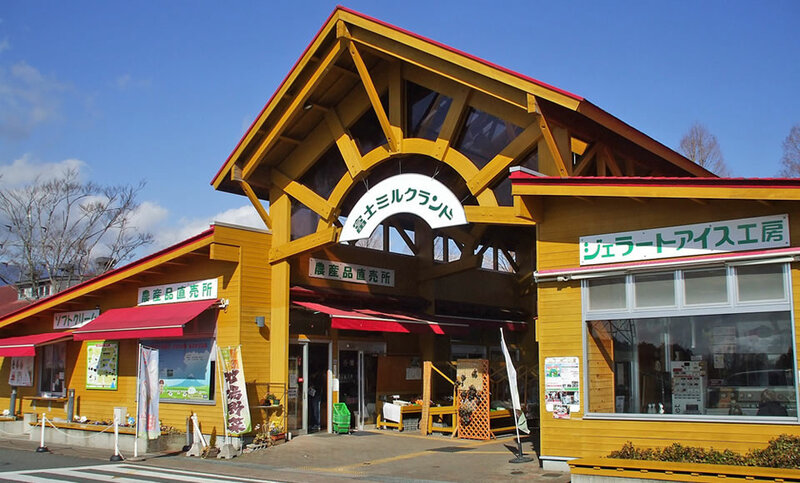 Whippy Ice Cream and Gelato Store managed directly by the Company openend in the Ashigara Service Area of Tomei Highway (Westward). Second Whippy Ice Cream Store franchize openend in Fujieda Grand Bowl bowling alley. Camembert Cheese won Special Judge Award and Merit Award in the 3rd Annual All Japan Natural Cheese Contest. Fresh-Made Butter won Prefectural Governor’s Award (the best award) in the Shizuoka Homeland Food Contest. Stripe Cheese won the Chair of Prefectural Assembly Prize in the Shizuoka Homeland Food Contest. Farmer-made “Taberu Gyu-nyu” (Jellified milk) won Gold Prize in the Fujino Kuni New Products Selection. Mount Fuji Yogurt (Plain) won Gold Prize in the Fujino Kuni New Products Selection.